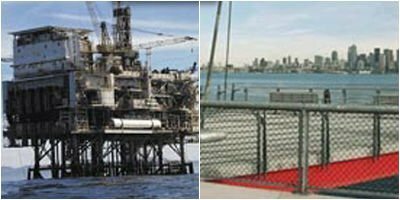 Rust Proof Coating For Metal | Prevents Rust & Corrosion | Superior Industries, Inc.
A high solids, pure zinc coating that electrically bonds itself to metal surfaces. Equals protection provided by hot dip galvanizing methods. Resists corrosion and rust migration. Provides a tough, durable gray surface. Can be used as a primer prior to painting. Protects surfaces from salt water and chemical fume corrosion. Convenient aerosol is perfect for touch up of cold dipped parts. Corrosion resistant, and a rust proof coating, Zin Kote 601 is a pure zinc coating and is packaged in aerosol cans and 5 gallon containers. Zin Kote 601 is considered the most effective anti rust and anti corrosion coating available today. This zinc coating product out performs metal surfaces that have been treated with hot dip zinc galvanize. It has been proven to have more corrosion resistant results to salt spray and chemical fumes than any competitive product. No other product provides for long term rust proof coating and corrosion resistant results. 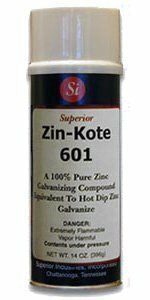 Zin Kote 601 electrically bonds to metal surfaces and can be used to repair metals that have been galvanized by hot dip methods. Zin Kote stops rust and corrosion and prevents further rusting and provides long term protection. 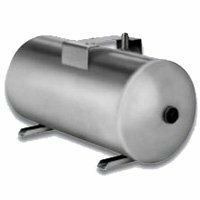 This product is recommended for use where the most corrosive conditions exist. 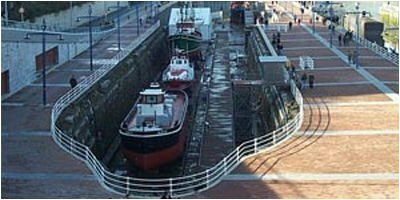 Zin Kote 601 zinc coating can be considered the product of choice for coating metals that are subjected to chemicals, salt spray and harsh corrosive conditions. Zin Kote 601 can be used with confidence on all metals especially in coastal areas, industrial applications where chemical corrosion is present and other applications such as marine and other applications where conditions demand a corrosion proof coating. To be specific, Zin Kote 601 is formulated using a pure zinc compound which has proven to outlast and out perform any other rust proof coating or corrosion resistant product available today. If rust and corrosion protection is of utmost importance, there is only one product that out performs all others. Zin Kote 601 has the most unique formula of any product available today and will not only stop rust and corrosion, but will inhibit it’s formation for a very long period of time. Zin Kote 601 is highly used by defense contactors on marine type vessels, chemical processing plants and manufacturing facilities worldwide and has proven to be the rust proof coating and corrosion resistant product of choice when selecting a coating that truly stops rust and corrosion and provides long term corrosion protection.